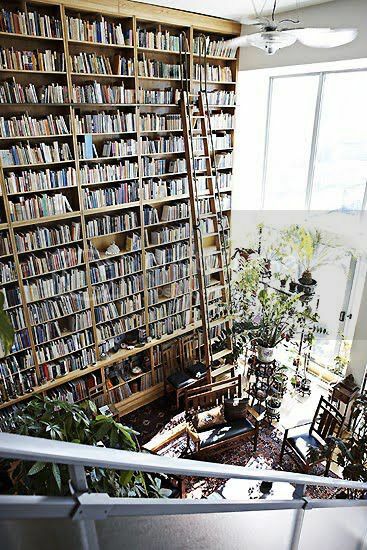 I know a lot of people would love a full wall bookcase... I'm a little afraid of heights though. This would be too tall for me! I have always dreamed of one of these, and though I usually avoid ladders and heights at all costs, I think I could get used to using a ladder that's attached to a track like that one so you can roll across the shelf without getting down. As long as its fixed so that the ladder won't fall, I think I'd be ok.